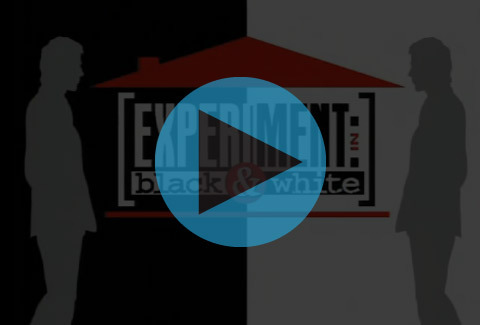 The Experiment in Black and White aimed to combine elements of the popular programs The Real World and Big Brother with traditional journalism, in order to tackle the often explosive issue of race relations in an innovative and groundbreaking fashion. Calling it “Reality TV–with a purpose,” the goal was to evoke open and honest discussions about race in Chicago–discussions that seem to rarely take place in mixed company in the nation’s fourth most segregated city. 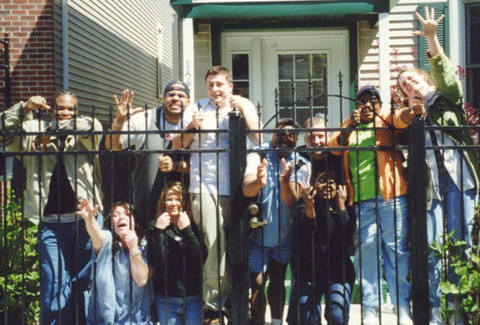 It all began when five black and five white Chicago-area residents (all strangers to one another) agreed to be sequestered in a three-bedroom, two-bathroom house in the Wicker Park neighborhood for seven days. Local race relations experts helped select the ten individuals (five male, five female, ranging in age from 23 to 49) from more than 650 applicants. Once chosen, the participants agreed to leave their jobs and their families for the entire week. Inside the home, the housemates ate, slept and socialized together but were allowed no contact whatsoever with the outside world–no phone calls, computers, newspapers, radio or television. 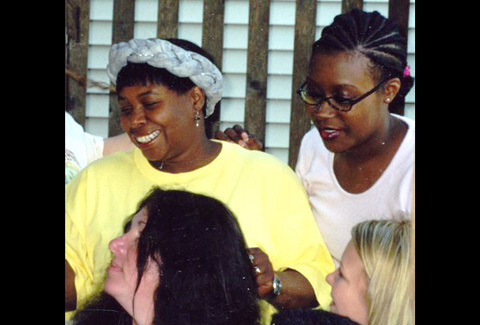 The participants were also given daily assignments and tasks about race. They conversed about everything from slavery reparations and racial profiling, to affirmative action and the use of the ‘n’ word, to the perceived differences in the way black and white Americans talk, behave, and live. We also brought in several “special guests” to the house (mainly college professors) to help facilitate or moderate some of our activities and discussions. 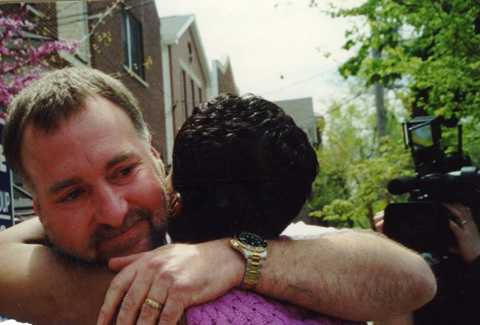 The resulting emotions and anger, tears and hugs, were videotaped 24 hours a day. The group was forced to continually confront the issues because there was truly no place for them to run or hide. 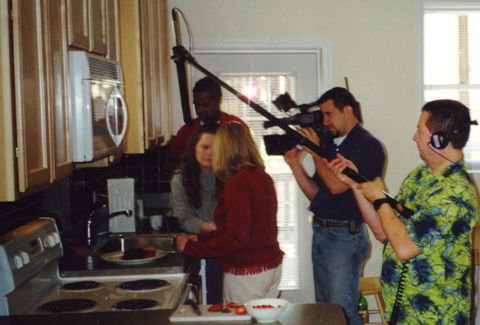 When the taping was complete, we left the house with 235 half-hour digital videotapes and another 100 or so mini-dv and surveillance tapes and began logging, examining and molding them into the program. it was an enormous, almost overwhelming challenge. In the end, much of what was expressed publicly by these participants often echoed the views of the general public–opinions and feelings many people might voice privately but fear or resist saying aloud because of the potential repercussions in our “politically correct” culture. In The Experiment in Black and White our housemates were refreshingly and sometimes stunningly honest. There was no tip-toeing around any issue whatsoever. Community reaction to the project was overwhelming. 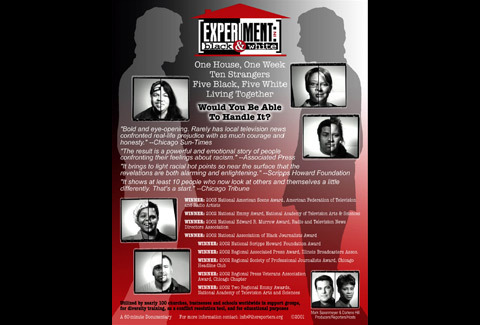 Educators from churches, schools and universities throughout Chicago–and even across the nation–expressed interest in obtaining copies of the program to use in race relations, psychology, conflict resolution and sociology classes. We were invited to speak about the project on half a dozen talk radio stations, and we even opened up a live chat room allowing viewers to query the ten housemates themselves. 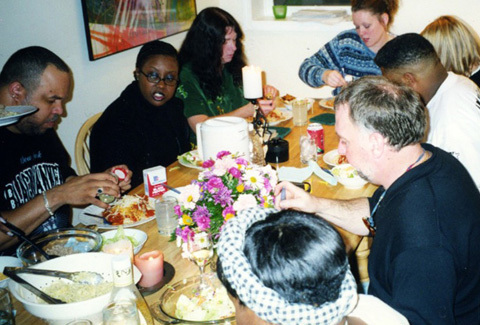 Local newspapers interviewed the housemates for their own feature stories and many of the participants have since spoken on the subject of racial unity to various community boards, schools, and organizations attempting to advance diversity. After debuting on Chicago television, the documentary was aired in several other cities, including New York City, Milwaukee and Dallas, to name a few. To reiterate, these ten people were willing to take incredible reputational risks by voicing their true–and sometimes bigoted and arguably racist–views on television. And they did so to not only work through their own issues, but to hopefully help those watching as well. Although the participants ended their week together with many issues between them still unresolved, we think it’s safe to say that everyone involved in this project gained a better understanding of one another. Each person worked diligently towards bridging the racial divide. And with any luck at all, what viewers saw on the screen prompted them to face–and to work towards resolving– their own racial biases and prejudices.